Caps would like to thank the fine folks at McBain Camera for all of their wonderful support throughout the year. There competent staff are knowledgeable in all aspects of photography and there selection is sure to satisfy all of your photographic needs. 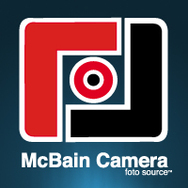 If you are in need of equipment, new or used be sure to check them out at http://www.mcbaincamera.com/index.php.